If you’re shopping for an entry-level luxury sedan with a sporty disposition, you’ll undoubtedly come across the compact Lexus IS 250. Although modestly powered for a premium-brand sport sedan, the IS 250 offers all the other virtues of the IS series, including precise steering, a high-quality interior and an array of high-tech features. Inside, the leather-lined Lexus IS 250 feels luxurious even in standard specification. Seat comfort and passenger legroom are good up front, but larger drivers might not like the cockpit’s narrow feel. The backseat provides headroom and legroom on par with competing entry-level luxury sport sedans. On the move, the Lexus IS 250 is smooth-riding and quiet. Handling is sharper when the car is equipped with the F Sport package, but you should expect a stiffer ride quality as well. Overall, the Lexus IS 250’s best attributes are its communicative steering and quality cabin materials. 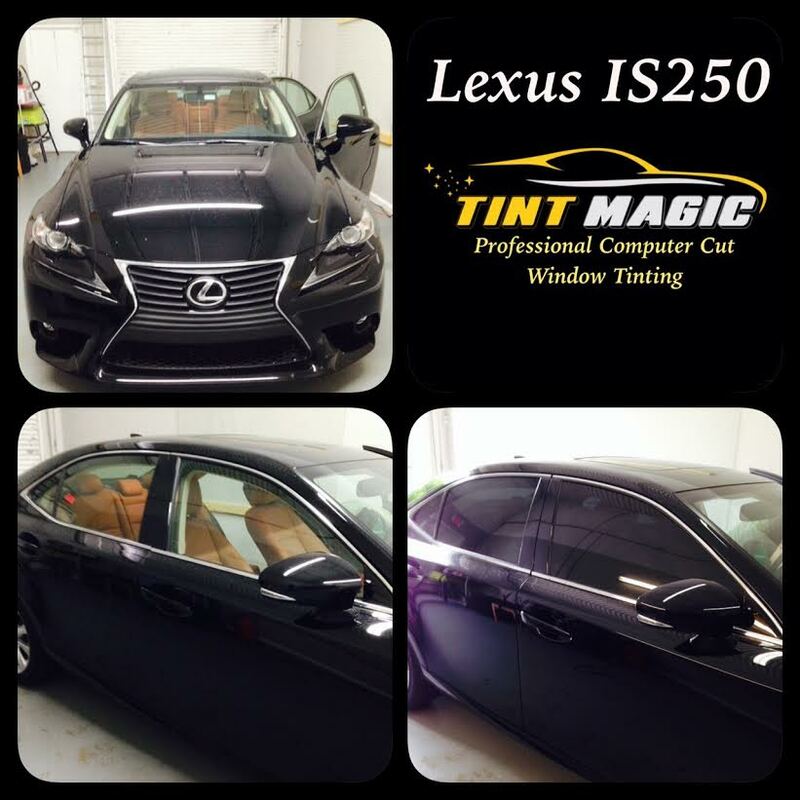 Lexus IS 250 Window Tinting at Tint Magic Window Tinting Coral Springs looks amazing!!! We use computerized cutting system coupled with high quality films with lifetime warranty give you the professional installation and service you deserve. Call us for a free estimate! 954-840-7883. Tint Magic Window Tinting serving Coral Springs, Parkland, Tamarac, Coconut Creek, Sunrise, Weston and Margate.